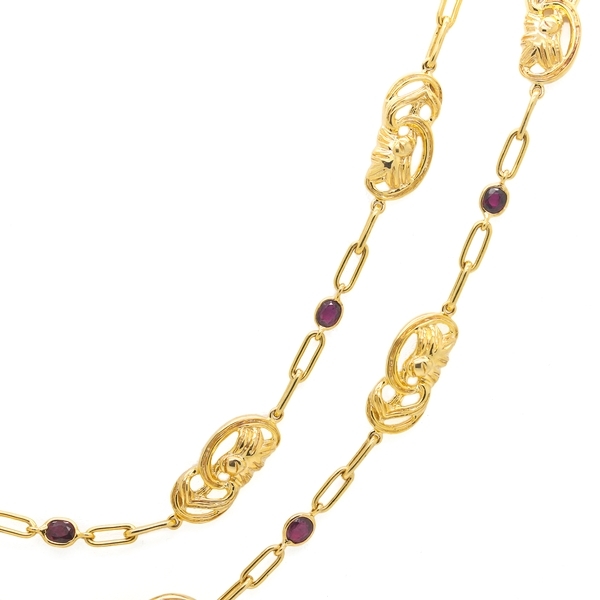 Yellow Gold & Ruby Link Original Necklace Reliable Gold Ltd.
We are on a roll! 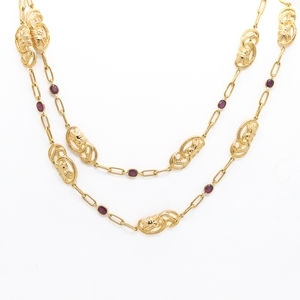 Please visit our latest addition to our original necklace line of wearable, everyday glamour. 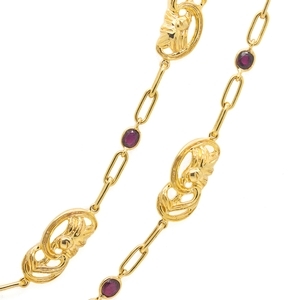 The current model connects fancy links of 18K yellow gold and oval bezel set rubies, approximately 3.94 carats total weight, and measures a very versatile 27 inches long. This necklace, however, can be customized according to your preferences and made in any length, with any color gold and with or without the gemstones of your choice. Diamonds would be beautiful as well!